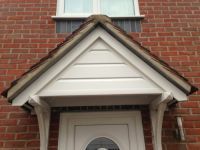 We offer replacement UPVC facia boards in 22mm thickness, bullnose design with a standard choice of colours; white, woodgrain, rosewood, oak and black. Colorcoate is available if required. 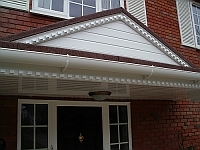 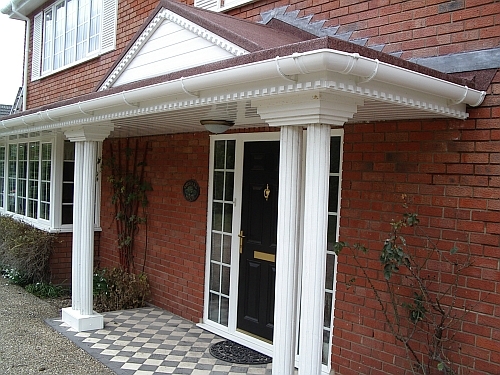 Soffit boards can be either a solid board or fixed profile to complement more traditional, dated properties. 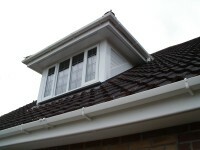 There is a large range of colours available for you to choose from. 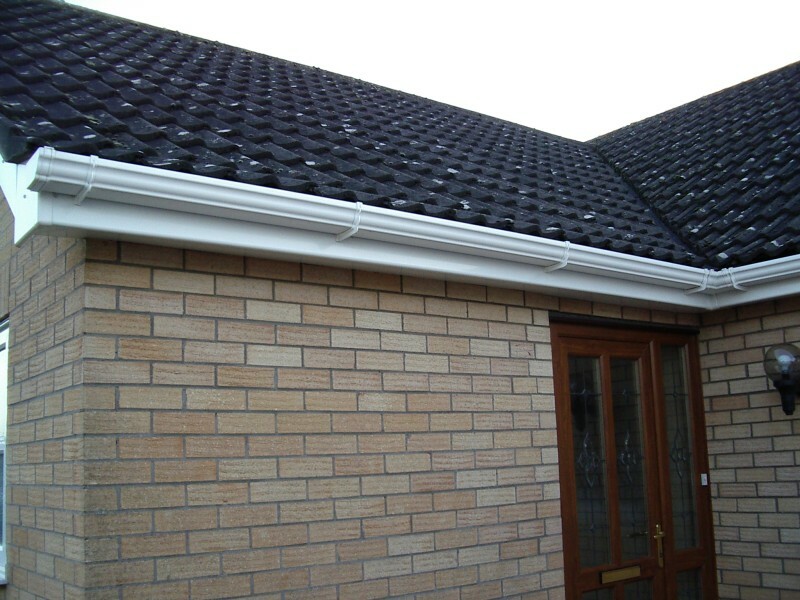 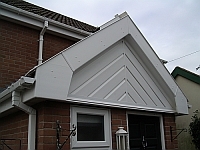 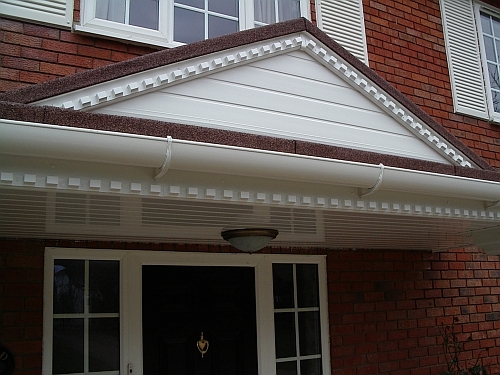 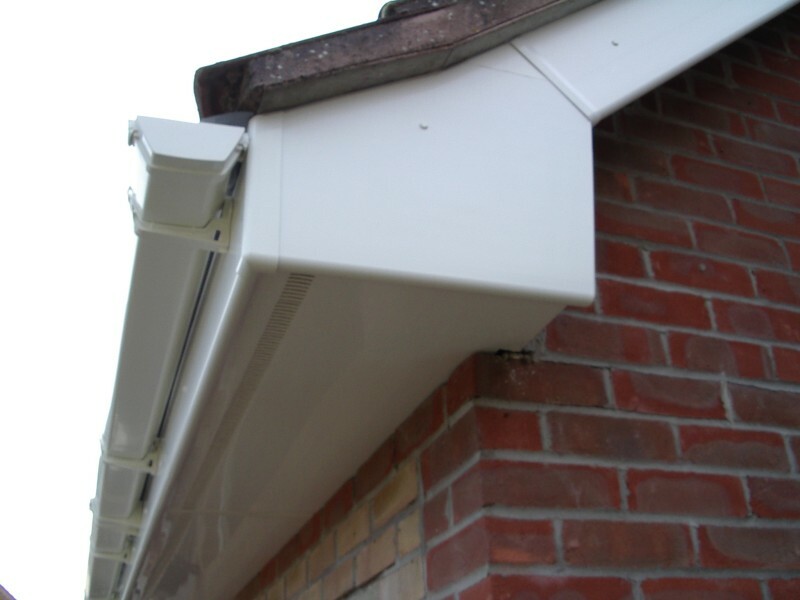 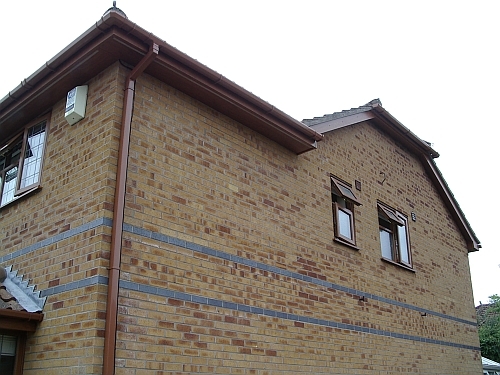 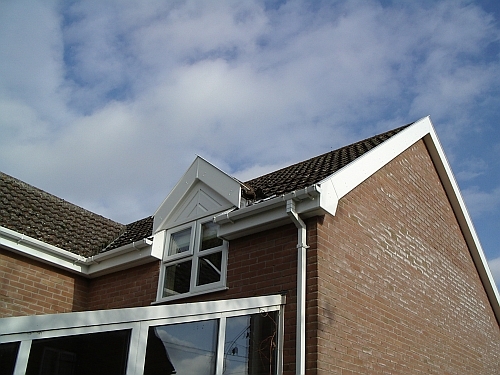 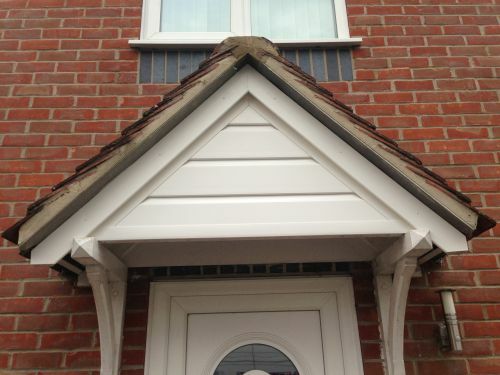 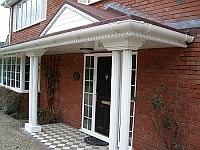 We are also able to replace your UPVC guttering with four choices of profile and colour. 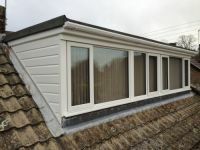 The original timber, plastic facia, soffit and guttering are always removed prior to the installation of any new products, and the first row of roofing felt is also replaced. 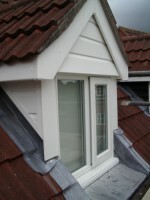 We can also replace all UPVC cladding and barge boards to dormer windows as can be seen in the photos below.